Now serving on the leadership team as Managing Partner, Bill Moody is widely regarded as one of the top real estate professionals in our area. He is an original founder of Washington Fine Properties and an instrumental part of its rapid rise since being established in 1999. 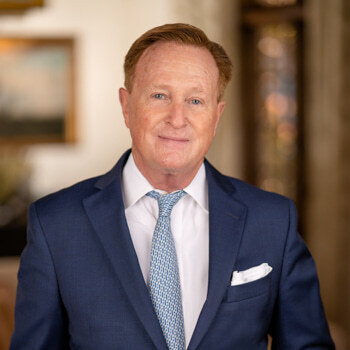 Bill began his real estate career in 1986 with Sotheby's International Realty in Manhattan, and went on to cover areas of New York, Chicago, Dallas-Fort Worth, and parts of California. He came to Washington, D.C., in the early 1990s to serve as Sotheby's Regional Director and began his residential real estate career here. Bill has represented many of the most important properties ever to come to the market in the Capital region. His clients have included the nation's top political figures, celebrities, and corporate executives � all of whom rely on his creativity, credibility, and confidentiality. In 2017, Bill stepped into his current role as Managing Partner of Washington Fine Properties, where he continues to use his unrivaled market expertise, extraordinary negotiating tactics and leadership skills to guide the firm�s success and growth.